I have question about props, bit exotic with 33 AVS but still. I have Hering 37x17" rake 16 cleavers currently, and rotating like in the pictures. Engines are MercRacing 700 Sci's rebuilt by Sterling to 850hp, drives are NXT1's. 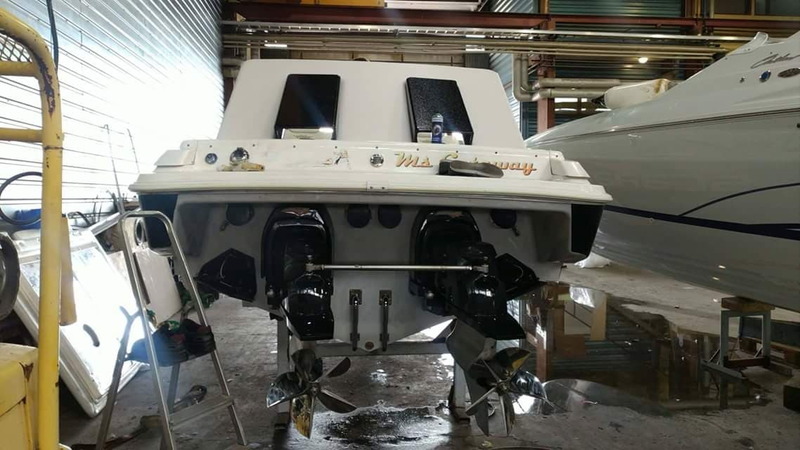 Boat does easy 100kn but will start to suffer after 85kn about too much stern lift. Boat is solid on 85kn but after that start to feel bit "out of hand" but still runs nicely (no china walk, just feels bit nervous). by looking at few pics from it running it looks like the stern is too high compared to pics with XR's it had before. So the question is should I run in or out? And what size (diameter) I should be using? I'm from Finland, Europe and we do not have lots of this kind of props to test lying around here, so by just testing I don’t have possibility to find correct set of props. X-dim is around 1 to 1,5" inch due swim platform bottom the drives can’t be higher without destroying the boat, so I decided not to do that at the time. Last edited by roope; 09-07-2018 at 02:43 PM. Best info might come from Dan/Archer. I would reach out for him as he has probably played with more Scarab setups than any one else. What do you mean “start to feel nervous”, are you getting nervous at that speed or boat is acting weird? Last edited by steelborn; 09-15-2018 at 06:05 AM. 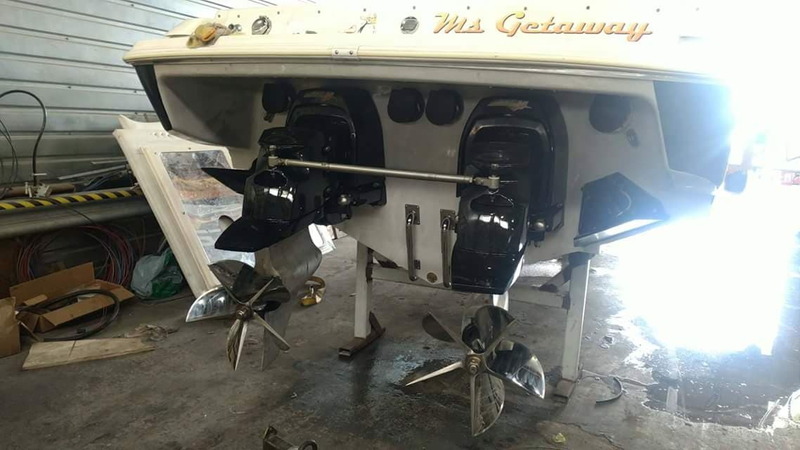 FYI the way your props are turning will give you stern lift, reverse your props on your outdrives put your gear shifts in reverse, should give you bow lift, boat will drive a lot better. I would test some 4 blade props. Less blade area = less stern lift. But this is just an educated guess at what might work. Its a 33' boat, so 85 knots(98 mph) is pushing the hull's limits. There were a couple of 33AVS's at LOTO that ran over 100 mph with Bravo's, but I think you are in uncharted territory with the NXT's and the only way you will ever know what works the best will be through testing. The transmissions will fail if you do this as there are only two clutch discs for reverse gear, meant for idle use only. You must switch the drives as stated in a later post. Spinning inward creates more bow lift. You have transmissions and cannot do what he is saying. You have to swap drives. KNOT-RIGHT and rak rua like this. I suggest you swap the drives to turn inward. I would also suggest a 16.75 diameter propeller with a 18 degree rake. Since you already own the 17x37's, I'd consider having us reduce the diameter and adjust the rake slightly. His pic shows spinning in already? ?